Click here to submit your question and we will reply to you personally and update our FAQ. 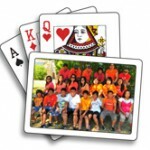 Q- How many cards are there in a deck of Card Games? 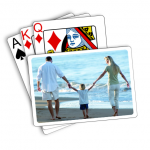 A– The Playing Card Factory decks are made of fifty-two playing cards, including thirteen cards in each of four suits, Clubs ♣, Diamonds ♦, Hearts ♥ and Spades ♠, with reversible face cards. Our decks also include 2 Jokers, each with a different colour combination. 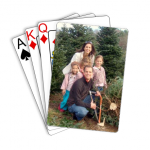 Each suit includes an Ace, King, Queen, and Jack, and cards from two through ten, with each card depicting symbols (pips) of its suit. Q- How do I know or check if my order went through? GR21H4). Our system will then automatically send you a confirmation email stating this order number again. If you don’t receive the confiramtion email it might be because you didn’t completely finish the ordering process or you entered your email address incorrectly. When you have received this confirmation email, you can either click on the Order Status button at the top of any page, or click here to check your order status at anytime. By entering either your order number or your email address, you can check that your order was received, and/or its status. Q- How long does it take for my cards to ship after I have placed my order? A– Normal production timeline is 4-5 business days from when we receive your order. This may vary shorter or longer due to volume of orders. 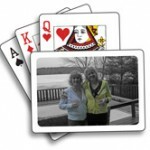 Q- How long does it take to create an order for playing cards? A– Once you have picked an image(s) or design you would like to use, it takes about 5 minutes to complete the order process. Q- Will I receive a confirmation of my order? Q- How do I check the balance of my gift card? A– You can check the balance of your gift card anytime by selecting Gift Card Balance under the Order Info main menu option. Q- I need to fix or edit my photo first, how do I do this? 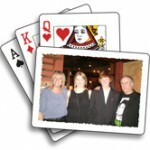 A– You need to edit or create your final image in an image editing program first. Save it as a high-res jpeg file on your computer and then proceed with your playing card order. Look in our Tips section for more advice and tips on setting up your photos. If you have used an image editing program before or want to experiment, try our free online photo software now. 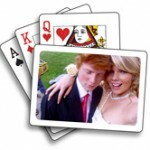 The Playing Card Factory offers this free online photo editing software. It works inside your browser so there is nothing to download or install. 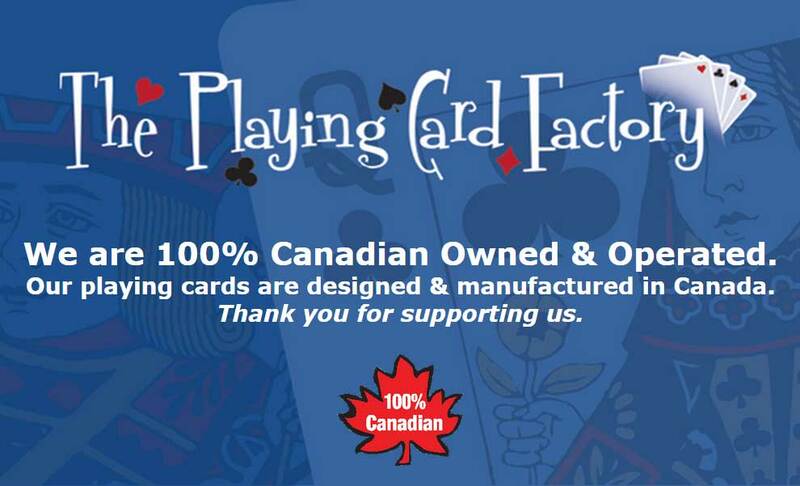 We offer limited support right now on this new tool but if you encounter problems or have basic questions, feel free to contact Brent @ The Playing Card Factory. Q- I want to add text on top of my photo, how do I do this? Q- I want to create a stunning graphic effect with my photo first, how do I do this? or send us an email. We’re here to help.